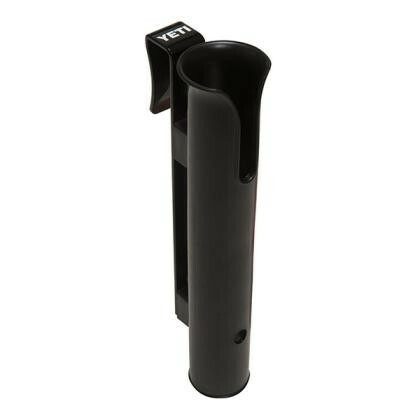 Vertically mounts to the side of your YETI Cooler for easy fishing rod access whether paddling or boating. Works with casting and spinning rods. Heavy-duty polypropylene tube is attached to a sturdy, stainless steel, powder coated bracket. Slides securely into the AnchorPoint™ Tie-Down slot of your YETI Cooler without getting in the way of the lid. Fits YETI Tundra Series Coolers.